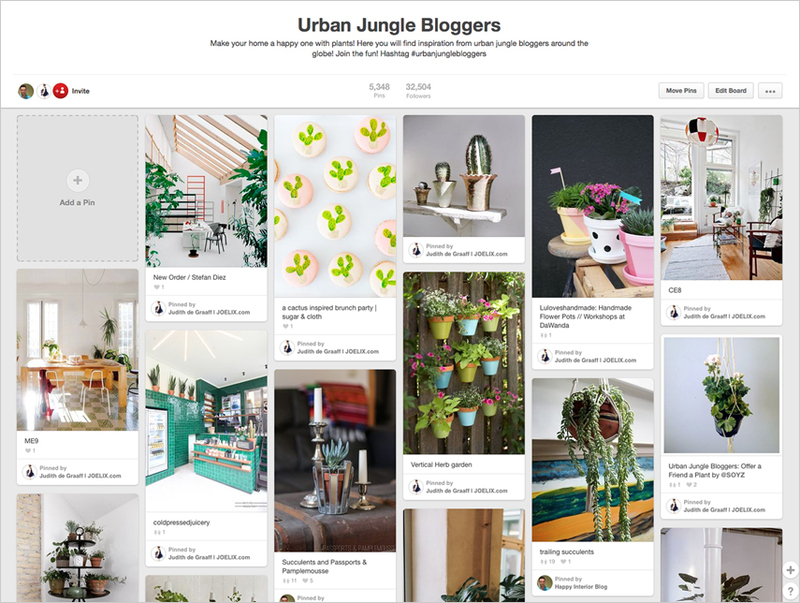 Urban Jungle Bloggers love Pinterest + tips! Today, let’s talk about Pinterest. 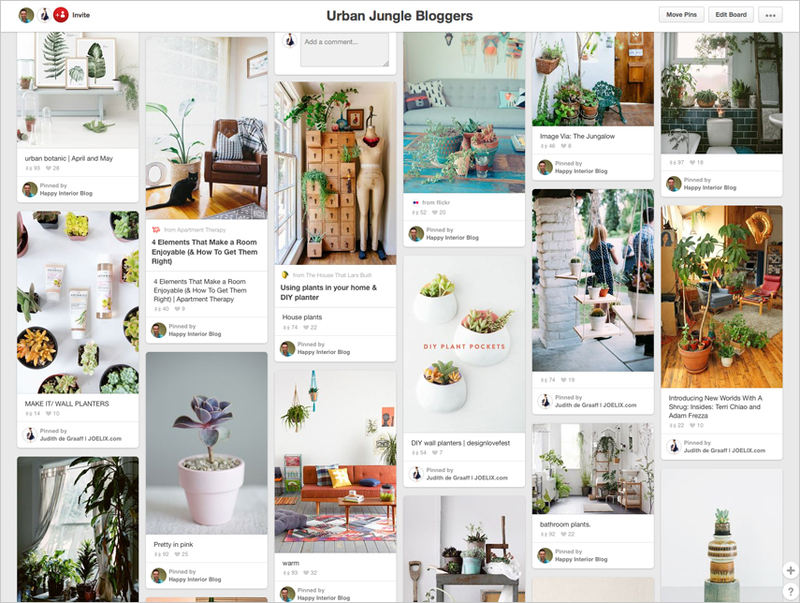 Before creating our Facebook page or even launching this website, we started with an Urban Jungle Bloggers Pinterest board. 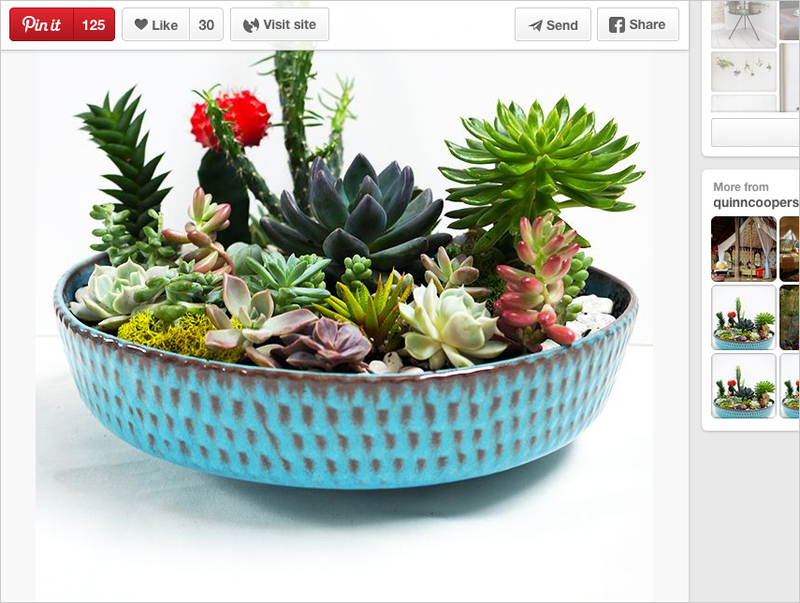 For the past 18 months we have been pinning green inspiration on a daily basis. Beautiful interiors with plants, green rooftop gardens, creative botanic DIYs, and of course all the fabulous blogposts from our bloggers. Our goal is to show and share all kinds of plant inspiration on our UJB board, in many different styles: we pin everything from bohemian homes to ultra slick Scandi homes, from creative plant pot DIYs to semi-professional greenhouses. As long as there is something planty in there. 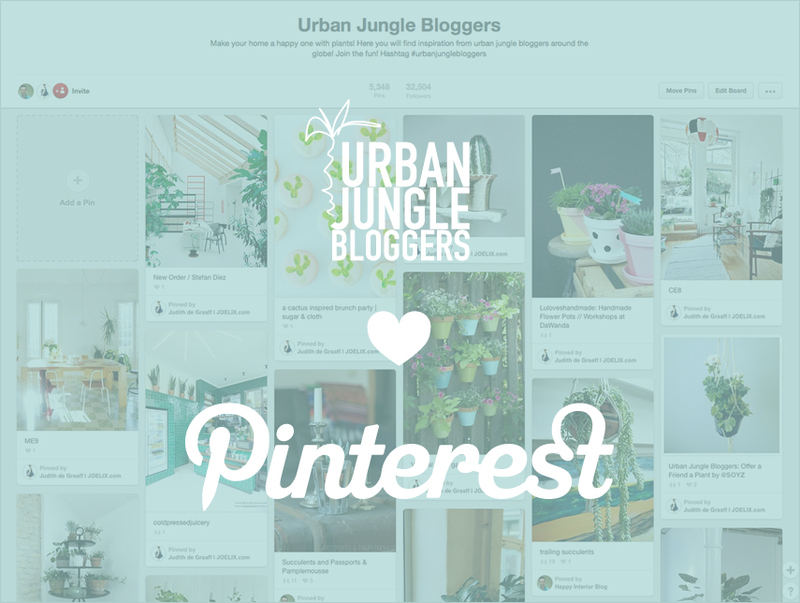 Our Pinterest board helped us to grow the Urban Jungle Bloggers community, to share the blogposts from our bloggers with a larger audience and several brands discovered our community through Pinterest. And regularly we find new monthly topic inspiration just by browsing our board. By now we pinned more than 5.300 images and over 32.000 people follow our board. Our most popular pins reach more than 60,000 impressions and some get almost 1,000 repins (like this pin in April). Even though it’s not about the numbers, we like all the connections via our dear Urban Jungle Bloggers board. To go short: we love Pinterest! But it is not only about love and passion, it is also a bit of know-how that will help YOU perform on Pinterest at your best. Here are some of our tips! ⚫ Always insert a big portrait (vertical) image in your blogpost. Portrait images show up much bigger than landscape images on Pinterest (or your mobile phone!). ⚫ Add an alt-text to your images. Pinterest automatically picks the alt-text of an image as the description of your pin. It’s smart to include your blogname and the specifics of the image. 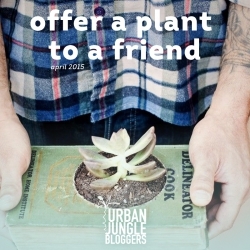 Usually we change the description of UJB blogposts that we pin to “Urban Jungle Bloggers: topic by @ name of pinner. ⚫ Make it easy to find your Pinterest name. Like with all social media, it’s best if your name is the same on all social platforms (if possible). Add a visible link to your Pinterest board on your blog. ⚫ Add a pin-it button to your blog images (click here to see how that works). Make it easy for your readers to pin your content to Pinterest. ⚫ Pin daily. Make it part of your daily routine. ⚫ Sign up for a business Pinterest account. It’s free and you get all kinds of statistics, which allows you to get an idea of what your followers like, what gets repinned a lot and what your less popular pins are. ⚫ Create very specific boards. Not “inspiration”, but “yellow elephant toys with big eyes”. Or anything that you truly fancy 😉 In your boards, stay very close to a certain topic or style. If you have a broader theme, make sure the pins look nice together, make it interesting to look at. Or create a new board for your related topic. Pinterest is a fun, exciting and useful platform for our Urban Jungle Bloggers community and they have lots of news coming up in the near future as revealed in this article. Stay tuned & happy pinning!